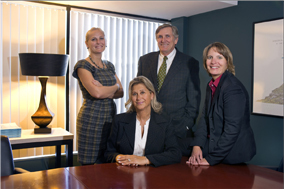 Frederick J. Tansill & Associates, PLLC opened in late 1997. Fred Tansill has over 40 years of legal experience. Prior to starting his own firm, Fred was a partner at McGuire Woods and more recently Verner Liipfert (now DLA Piper). Fred launched his own practice focused on counseling professionals, entrepreneurs, corporate executives, and investors. Fred also represents the closely-held business and investment entities and estates and trusts in which his individual clients are involved, as well as trust companies and non-profit organizations. The firm is committed to listen and to provide highly customized documents, prompt attention, and timely service. Listed in The Wall Street Journal in December 2015 as a top rated lawyer in Washington D.C.
For your estate planning needs, contact the law firm of Frederick J. Tansill & Associates, LLC in McLean.